South Shields based Quality Glass and windows manufacturer all types of Composite Doors; Serving Trade and public, our reputation in South Tyneside and throughout Tyne & Wear is reflected in the large number of repeat business and positive feedback we receive. Our Composite doors are designed for long-life performance, even in the busiest households where they are subjected to knocks and scrapes every day. Our doors are designed to withstand the rigours of everyday use without scratching or denting. 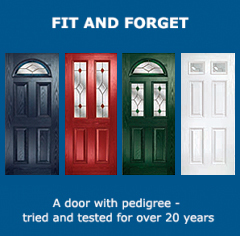 A selection of the A rated PVC-U doors and windows we manufacture are bi-folding, patio, French and composite doors. Low maintenance high security locking mechanisms, giving you the peace of mind that your home is well protected against intruders. Full range of decorative options for doors windows and fan lights. Styles to suit every home, from classic to contemporary. No one offers a bigger choice of original patterns. Sealed unit manufacturers, glass cutting service while you wait. The company was established in1998 and so we have many years of experience in offering our customers the best quality in product and service. Decorative glass has been used through the ages to imbue windows and doors with beauty, style and elegance. This ancient yet timeless craft has enjoyed a revival over the last 20 years as modern homeowners have discovered its ability to add character, charm and originality to their PVC doors and windows. 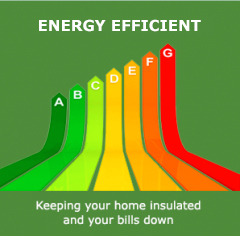 Windows are the showcase feature of your home. They determine the character and appearance of your property, whether it’s a chic apartment, a traditional Victorian terrace or a stylish new-build house. Windows frame your view of the world from within and define the appearance of your home from the outside. Our entrance doors are designed for long-life performance, even in the busiest households where they are subjected to knocks and scrapes every day. With internal webbing and thick PVC-U walls, our doors are designed to withstand the rigors of everyday use without scratching or denting. Our superb collection of panoramic doors offers market-leading aesthetics, engineering and value. With a choice of designs and guaranteed high-quality performance, they bring you the space, comfort and low-maintenance luxury of modern living. We know that your door needs to stay at its very best in the thick of everyday action. That’s why our doors are designed to stand up to the hardest knocks and treatment. A tough Glass Reinforced Plastic (GRP) outer skin with a rigid foam infill panel means the door is virtually draught and soundproof, providing you with greater levels of comfort and energy efficiency – with heat insulation up to six times that of a traditional timber door. A conservatory can offer you the space to relax, entertain or provide the additional room that young family needs to grow. Designed to fit in with your lifestyle a conservatory can provide the additional space you are looking for – without the turmoil and expense of moving house. Open 6 days a week to trades and the public.